At knitalpaca we want to encourage people to share in the luxurious feel and look of Australian alpaca. Most of the designs we present as part of our kits, or as one-offs, can be made easily by knitters with beginner or intermediate skill levels. Our designs are chosen to make the most of the softness and drape of alpaca. However, if you want to wear the luxury of alpaca straight away, we are pleased to present completed ‘rtw’ designs, already knitted from our yarns to our specifications. Stock is limited, so get in early. 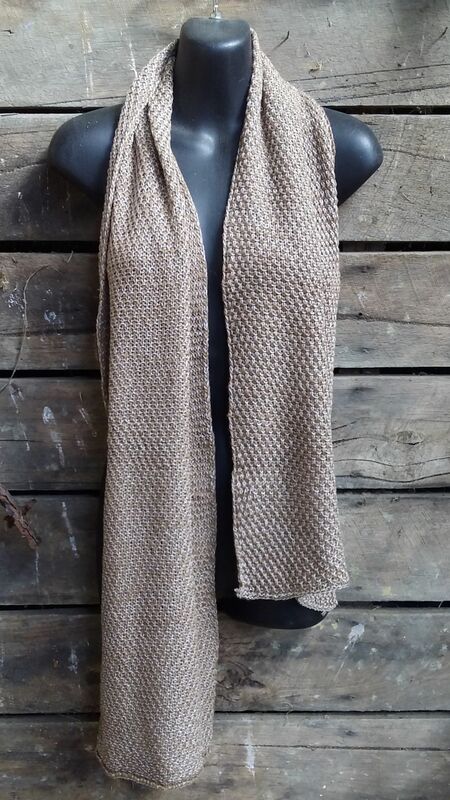 A soft, lightly textured scarf in 100% alpaca to indulge men or women. Scarf measures approximately 150 – 175cm in length, by 25cm wide. In subtle natural colours. 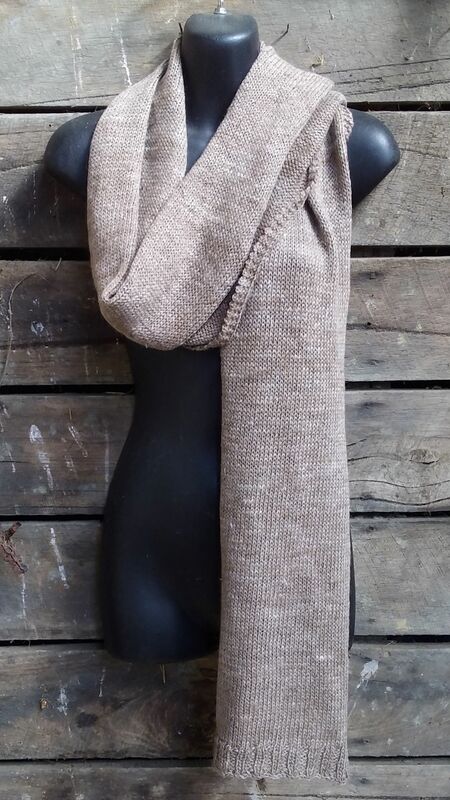 A gorgeously soft scarf for men or women to keep winter chills at bay. Size approximately 2 metres by 25cm.